Social media marketing is the canon that will fire your enterprise to success. That is right. Your current clients, the target audience, influencers and everyone else is on social media. 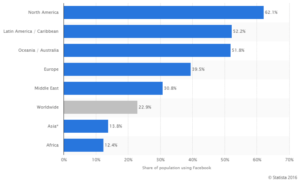 75% of male internet users and 83% of female internet users are on Facebook. 81% of the millennials check their Twitter accounts daily while 6 in 10 online adults are on Instagram. What these figures mean is that all that your business needs to grow is leverage or appropriate social media marketing strategy. Reach the target audience, understand what clients want, and professionally answer their issues. Why social media for your brand marketing? Well, you might say that your business is already on social media because you run an account there. But this is not all. You need to understand the social media dynamics, use all the available tools, and learn about the competitors in order to outdo them in their game. Digital marketers agree that social media is only opening up. Therefore, be part of this great train that is helping enterprises to grow rapidly. 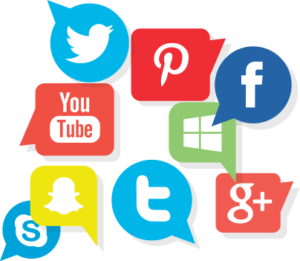 When social media marketing is implemented appropriately, here are the main benefits to anticipate. Notably, social media is one of the most cost-effective online marketing tactics. When a good social media strategy is implemented, your brand gets greater recognition because it will get engaged to a broad range of audience of clients. To get started on social media and start interacting with clients, you need to set up brand profiles. Then, ask the employees, sponsors, clients, and business partners to visit, like the page and start sharing it. By getting more people to interact with the business content, you will raise the brand awareness and embark on a journey to grow its reputation. To get more from social media marketing, you should consider investing ample time to study and know what the target clients want. Here, you also need to create content that can help visitors relate to the business more. Let us take an example of a business in the fitness industry. You need to create content that helps answer questions such as the best strategies to lose weight, great fitness strategies for the elderly, special recipes, and related content. The bottom-line is to understand the target audience and bridging the information gap. If your enterprise is not using social media marketing, the inbound traffic will only come from usual clients. Those who are already cognizant of your brand are already searching for related keywords that your enterprise is ranked for. This means that it will ultimately become more difficult to reach new clients outside the common customer base. Social media profiles add to brand marketing mix that acts as the gateway to the website, blog and email marketing. Therefore, social media will act as a melting point to net different clients to your brand. By forming groups, following competitors, and guiding discussion about your industry or brand, social media offers the opportunity to showcase what the brand has and funnel traffic to the main site. To draw more traffic, use social media to shout about latest offers, new info, coupons, and membership specials. One of the main reasons for posting content to social media profile is driving traffic. It is also a unique way to raise ranking on social media. Though social media does not have a direct influence on search engine ranking, more than 58% of digital marketers indicate that posting great content on social media is directly correlated to better ranking on search engines. But how does it happen? Today, everyone uses Google to search for information. In many cases, people searching on Google only open what is on the first page. If a business is featured on subsequent pages, people will rarely open it. But Google search algorithm has advanced so much and is interested in getting what delivers better UX to the front page of search pages. The algorithm follows carefully even what takes place on social media. To get better ranking, make sure to craft high-quality content and integrate the keywords with specific targeted keywords. Content like case studies, blogs, articles, reviews, business info, employee reports, business location, and others will grow the brand community. In addition, it will often get featured by influencers. The search engine algorithm will not take long to figure out that the important content belongs to you and place it on top of SERPs. Now that the social media marketing strategy has won the brand’s extra visibility, the business has more opportunities for conversion. For every post, video, image, or comment, all followers will become part of the traffic that could ultimately convert to sales. As a marketer, the content and interaction should only be a first step in the long journey to driving sales. The next thing should be developing partnership and demonstrating why they should buy from you. Most social media marketers indicate that developing a relationship with clients on social media have a positive impact on direct sales. Social media is the ideal tool and a force that your enterprise requires to grow traffic, enhance engagement, and drive conversions. It will further help to increase customer satisfaction, improved brand loyalty, enhance enterprise loyalty, and lower cost of marketing.